American Idol is probably going to be terminated at some point in the near future. One of the core reasons why the show has been so immensely successful is the unapologetic candor of Simon Cowell, the show’s most popular candid judge. 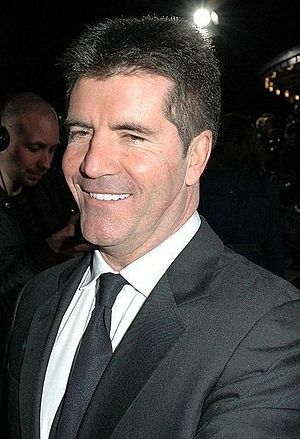 With this season being Simon’s last, I do not see how the show will be able to last much longer, considering the other judges are not able to offer the type of excitement Simon brings to the show. Although there will be a search for a replacement for Simon, I am not confident that the producers will be able to find any person who can fill Simon’s shoes. I am not sure that they can find a person who can even be able to come close to filling Simon’s shoes. The purpose of this article is to discuss the significance of Simon Cowell’s leaving of American Idol to the show’s future. American Idol has not really been that good since Fantasia Barrino won, although I did like Carrie Underwood and Bo Bice. There was a time when I was eager to get in front of my television and watch the show, but the show has had such mediocre talent since Carrie won that I have not really been as eager to watch it. Since Fantasia won, it seems like the show has concentrated its attention on the judges and not on the finding great talent. Even in the media, it seems that the focus has been on the judges—this may be a result of the media not being able to talk about any worthy talent on the show. Just as in fashion you can be in today and out tomorrow, it is important for television shows to understand this. American Idol desperately needs to refocus its attention on its contestants and not on the judges. Nobody wants to hear people who cannot sing. The recent winners of on the show are really some jokes. These recent winners are not talented singers. While the judges continue to say that this is a signing competition, they are changing the show into a circus that is all about them. If the show wants to increase its chances of survival, it is vital that it get Paula to come back. Without Paula, the show does not really have a chance at surviving at this point. Even with Simon on the show this past season, Paula’s absence was missed. She makes it possible for Simon to be fully himself. Although Paula’s analyses were not always coherent and relevant, she did bring a significant amount of attention to the actual contestants, which the show now lacks. Paula also brought a healthy enough attention to herself, which kept viewers coming back to see her show after show. We cannot forget that Paul was a very successful artist as well, so her expertise is greatly missed. Although I really love Ellen, the selection of her to be a judge was really random. While she may have some insight about what the average American is thinking about the contestants, she simply does not have any real idea about what it takes to be a successful singer. I am not saying that the show needs to get rid of Ellen, but what it must do is find a judge who can have viewers coming back week after week to hear what he or she has to say. I really suggest that the show think outside of the box when selecting a replacement for Simon. The survival of show will depend on the producers’ ability to get Paula to return and on finding an effective replacement for Simon.